22The Guardian Angel Knitting Program, now in its 17th year, encourages Australian knitters of all skill levels to lend their needles to a great cause. April is National Stress Awareness Month, and the Craft Yarn Council is celebrating by spreading the word about the therapeutic benefits of yarn crafts. Series 1400 of Knitting Daily TV, the third series with Vickie Howell as host, just started airing on public television stations nationwide, and it’s also available for download or purchase as a DVD. The second Friday in October is designated as I Love Yarn Day, a delightful made up holiday that celebrates all there is to love about yarn and yarn craft. Are You Ready for Sweater Weather? You probably know by now that I am not a huge fan of BuzzFeed, or Internet quizzes, but I couldn’t resist sharing this quiz to help you determine if you’re ready for sweater weather. 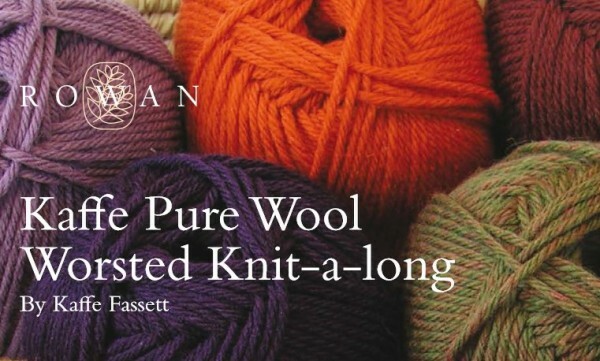 Rowan is getting set to launch its second mystery knitalong project on Oct. 1, and this time the designer behind the fun is color master Kaffe Fassett.